I love the look, and in the future think it would make an excellent living room look - but maybe I love bold colour too much to take the plunge...! The Scandinavian look is SUPER easy to achieve, so if you love it, it won't take forever to accomplish. WHAT IS THE SCANDI LOOK? There's something super calming and minimalist about the Scandi look. Those Sewdes are just so bloomin' organised - on an IKEA kinda scale. 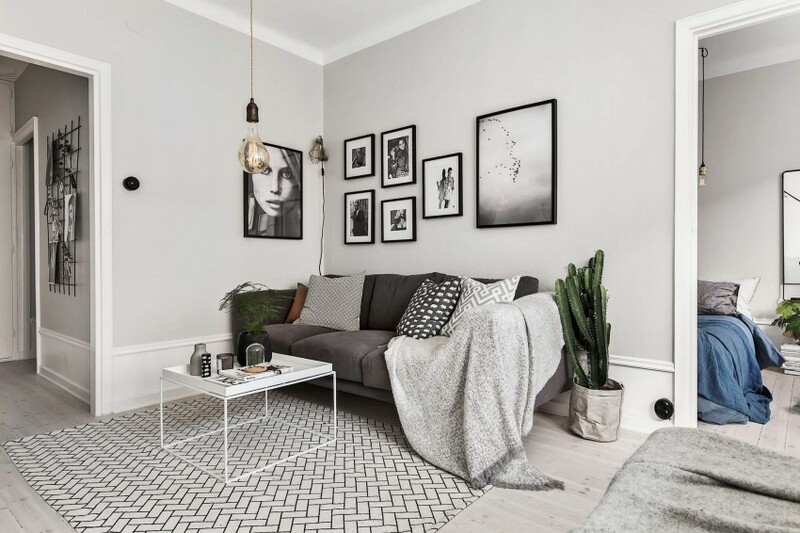 The current fashion for the Scandi look is to go for a soft and neutral colour palette, which is perfect for working with clients who love the latest fascination - grey. 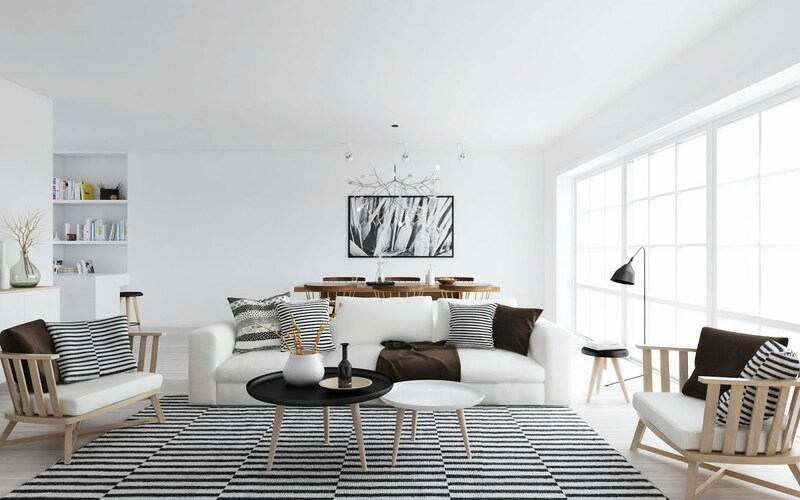 But have no fear - thankfully the Scandi look is so much MORE than just another neutral pale scheme, it's doing something like adding some iconic Scandi designer pieces that gives the look its modern edge. If you've moved somewhere new and need a quick-fix for a pulled together look, I would 100% recommend the Scandi look. It's quiet and understated, and is the basis for lots of other looks. Over-time you can throw in colour and cushions and all of the things you want your room to eventually be, or keep it Scandi and stay organised. 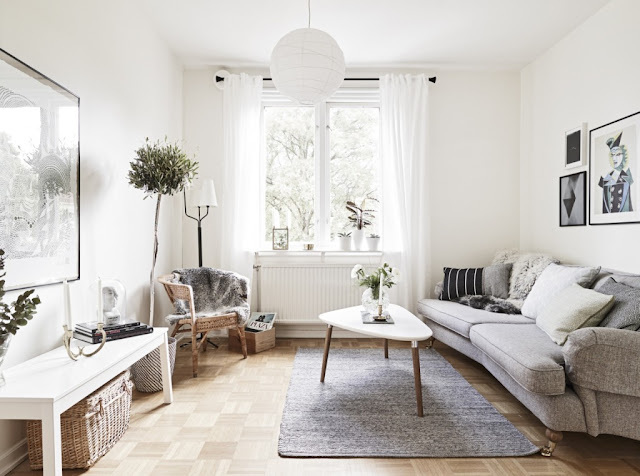 For a quick-fix Scandi look, go for white and pale grey walls and use items made from natural materials here-and-there, wood, stone and wool are particularly key to getting the look. Neutral colour schemes, deepening in the accessories. The overall vibe should be clean and minimalist. ((PS - If the rooms a little dark, place mirrors around the room, make sure they have maybe a metal surrounding so they fit with the rest of the room and reflect light across the room!)) 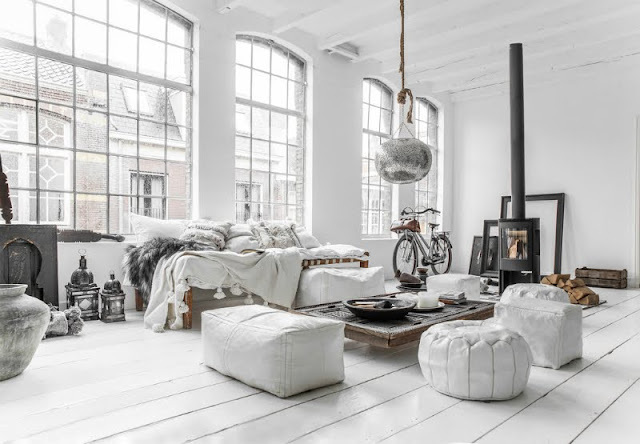 Sheepskins (go for fake ones of course) add warmth and texture to a space and will help pull the look together super quickly. Flooring is surprisingly key - choose wooden floors topped with large wooden rugs to keep the 'natural feel'. Keep your furniture with sharp, clean lines with modern designs. Layer up textures as much as you can, different textured scatter cushions, metals and wooden surfaces - keep it clean guys! Try to aim for simple patterns with the odd geometric here and there (avoid polka-dots!) Accessories that are on display should be natural and (as always) look clean together, wherever they may be. 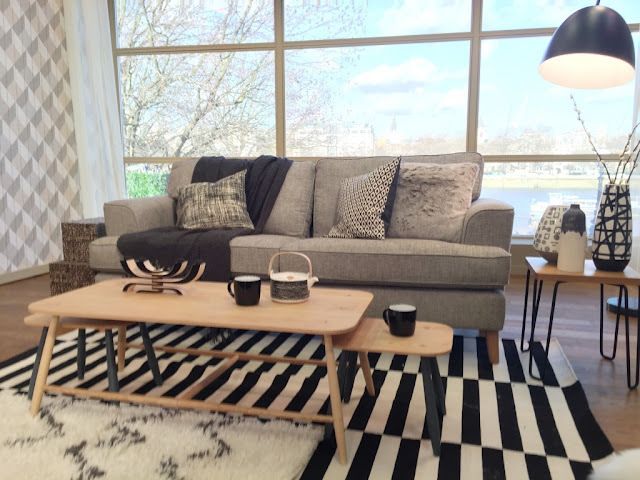 Are you loving' the Scandi Look? I hope you enjoyed this blog-post ! 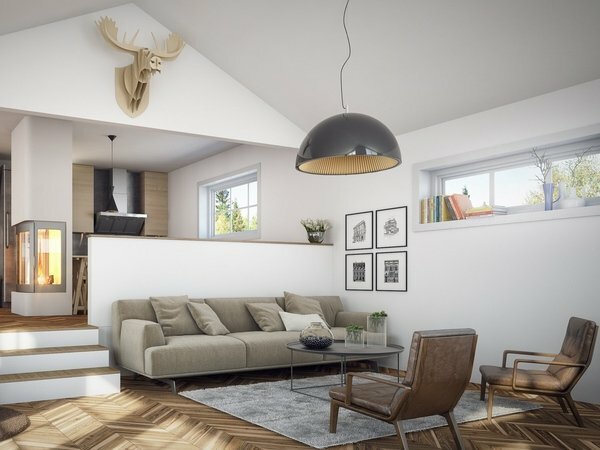 Scandi interiors are so nice! I love all the cafes and lunch places that are done up in a similar manner!